Outdoor shutter or exterior shutter were initially constructed for privacy and light control. They come in a variety of types including vinyl shutters, wood shutters, aluminium shutters and composite wood shutters. Vinyl shutters are low-cost and come in a variety of standard sizes and fade resistant colors. These are mostly for decorative purposes and are low-maintenance. Wood shutters provide a more authentic and stately look to the exteriors of the house, whereas composite wood shutters are for those who like the look of the wood but don’t want the hassle of maintaining the wood as it offers resistance to rotting and splitting. 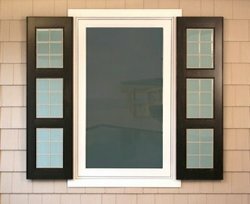 A material that has recently become popular for use in shutters is fiberglass for its durability. Functional outdoor shutters hinge on either side of the windows and can swing shut when needed. It is one of the best ways to keep heat out of the house and provide great control in ventilation as well as light. Non-functional shutters are used for decorative purposes to make the exteriors look more attractive. The shutters are also made for arch top windows, and in flat panel as well as raised ones. The most popular ones, however, are louver and combination shutters. Louver shutters are elegant and durable while combination shutters are named so because they combine the louver shutters with raised panel ones. Ranch style homes prefer the type of exterior shutters known as board-n-batten, which are a classic style in homes. Functional outdoor shutters are a good way to protect the house against the elements, like excessive wind or rain. They can provide protection and extend the life of the building when made of fiberglass, aluminium, iron or wood. 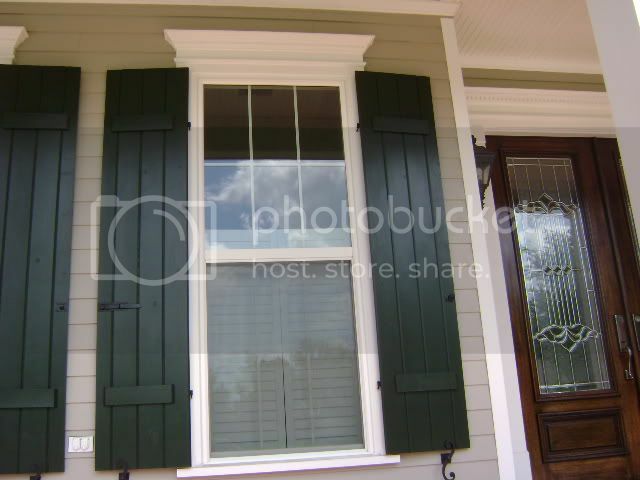 Since these shutters are on the outside, they can also be used along with your regular indoor window treatments.